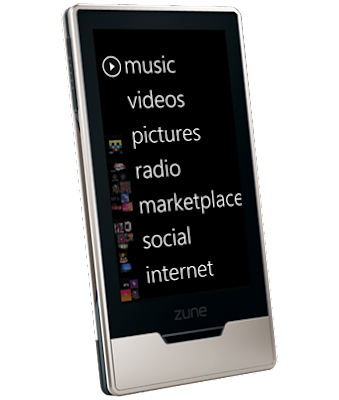 The new Zune HD wireless media player connects you to a new world of entertainment. With built-in HD Radio™ receiver, HD-compatible video, multi-touch navigation, OLED screen, and games, Zune HD delivers the next level in music and video experiences. Play high quality video on the go or on your HDTV. Watch supported 720p HD movies, TV shows, and videos in high definition on your HDTV through the Zune HD AV Dock (sold separately). Get instant access to your content with multi-touch navigation. With a 3.3-inch size and vivid 16:9 display (480 x 272 resolution), truer and brighter entertainment is at your fingertips. Surf the Web anytime, anywhere you have a Wi-Fi connection. Check email, traffic, and news with a full-featured optimized Web browser, including a touchscreen QWERTY keyboard. •HD Radio: Get more stations and better sound, without fees. The new Zune HD gives you access to many local HD Radio stations for more sports, news, and music with crystal-clear digital sound at no extra cost. •Wireless: Buy, stream, and update your music – and download free games – wirelessly via a Wi-Fi connection. You can also wirelessly sync your Zune HD to your home PC via your home network. •Quickplay: Cut through the clutter and get instant access to your content with shortcuts to favorites, recently downloaded or played music, videos, and more. Preorder is available from August 13, 2009 until September 15, 2009.